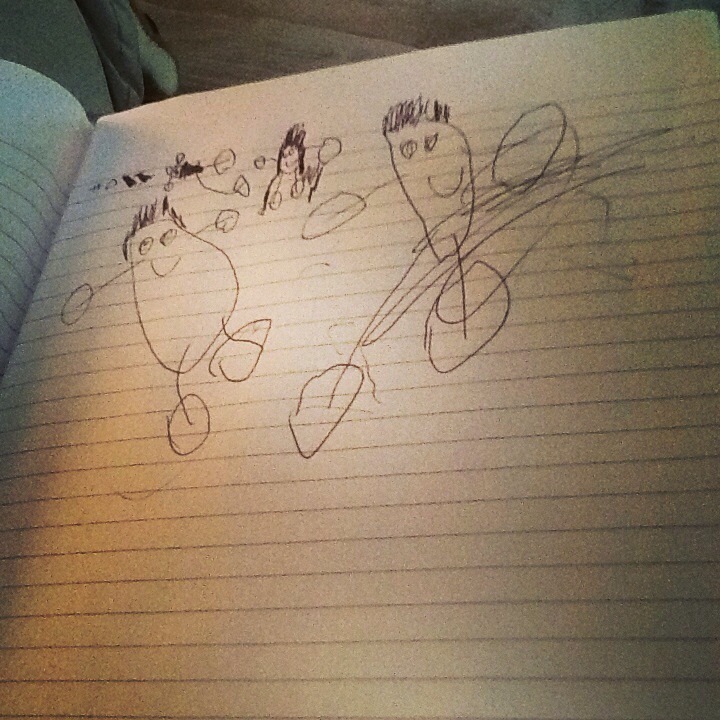 I used to hate it when I’d discover that my kids had drawn in my journals…Now I kind of love it. What better way to remind myself where my life was as I was writing these words down. What a great way to keep my priorities in check. Even when I find the drawings over my greatest thoughts (this is sarcasm) I am reminded how small I am. How short life is. These days won’t last. One day I’ll long for little inconveniences, and the times when my kids wanted to be just like me.